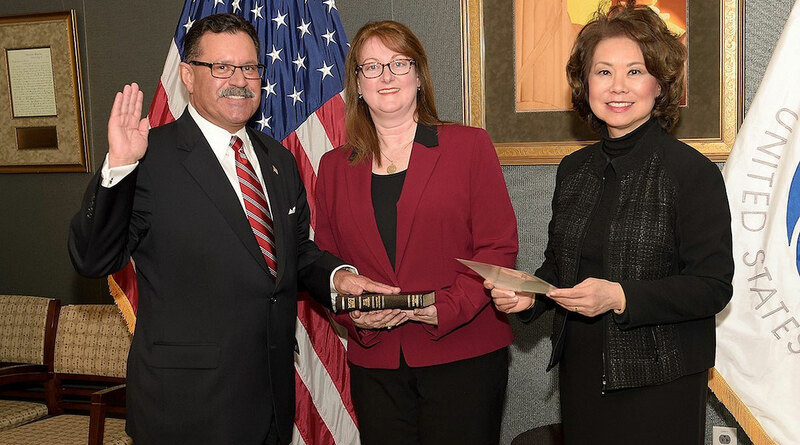 Transportation Secretary Elaine Chao on Feb. 28 swore in Raymond Martinez as the sixth administrator for the Federal Motor Carrier Safety Administration, an agency overseeing trucks and buses. “Ray’s years of experience promoting traffic safety at the state level, as well as his knowledge of the commercial motor vehicle industry, will help FMCSA fulfill its critical mission of improving truck and bus safety,” Chao said. Martinez most recently served eight years as the New Jersey Motor Vehicle Commission’s chairman and chief administrator, where he oversaw 2,500 employees and a $330 million annual operating budget.